Ukraine is a multi purpose destination for a vacation. If you visit this country in winter, the numerous ski resorts are offered at your choice. The summer time also provides various activities to be undertaken in Ukraine. These can be found on destinations.com.ua or in another guide of Ukraine. Nevertheless, summer is also associated with the sea and beach. For this reason, we offer you to visit the best sea beaches located on the territory of Ukraine. 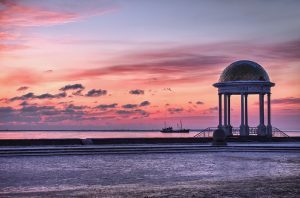 The city of Odessa is a treasury of beaches and summer activities. Due to the location on the shore of the Black Sea, Odessa provides numerous places to have a rest for any kind of tourists. If you happened to visit this destination, you should definitely come by to one of the Blue Flag beaches. The Blue Flag is the international certificate confirming that the beach is clean and has a developed infrastructure. Such beach is free to access. The beaches certified according to the international standards are “The Black Sea Riviera” (Fontanka village) or the “Dachnik” beach (Hrybivka village). Such places named Lanzheron, Otrada, and Arkadiya are the famous Odessa beaches located along the east area of the city center. They stretch for about 5-6 km. These three beaches are connected by the pedestrian-and-bicycle road. The surface of the beaches is different including the sand, pebble, and stone plates. Luzanivka is the perfect solution for those who prefer to abstract of the luxury of Odessa resorts. This beach is situated far from the city center. By the way, if you are a fan of camping, you may set your tent on the Luzanivka beach and enjoy your vacation. Let’s leave Odessa and see the other places for the rest at the seaside. The neighboring Mykolaiv Region offers the city of Ochakiv. 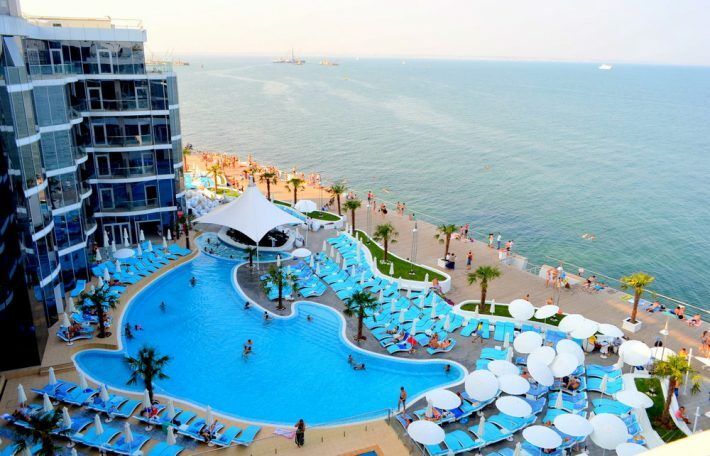 Although the service on the beaches of this destination lags behind from the Odessa resorts, the unpretentious tourists will be happy to spend a couple of days here. The main attractions of the destination include the Black Sea Foreland and the Kinburn Foreland. The city is situated on the northern coast of the Dnieper-Bug Estuary at distance of 59 km from Mykolaiv. 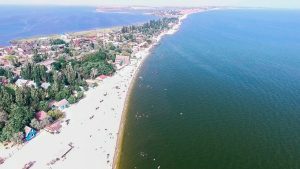 The beaches of Kherson are considered the better option compared to Ochakiv. Skadovsk is the city on the Black Sea shore with the warm and shallow sea, and the clean beaches. The alternatives to Skadovsk are the cities of Zaliznyi Port and Lazurne that are located westwards. Actually, these destinations are chosen mostly by the youth, while Skadovsk remains the best option for the family rest. If you need more privacy and seclusion, the settlement of Khorly located on the peninsula is the best option for you. Berdiansk is the representative of the Sea of Azov shore. The city itself cannot boast of great beaches while the Berdiansk Foreland is covered with the resorts, hotels, and recreation facilities. 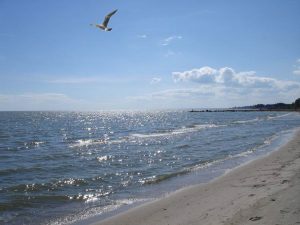 The Sea of Azov has own benefits such as the shallow water, fresh sea air, and therapeutic muds. Such entertainments as a dolphinarium, zoo, amusement park, restaurants and nightclubs are also available.